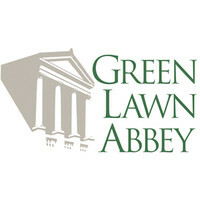 The classical architecture of Green Lawn Abbey, a beautiful and historic mausoleum, invokes serenity and a sense of timelessness. An array of interment options and services will soon be available for purchase. The Abbey opened for business in 1929 as a “community” mausoleum. Public mausoleums were a new business model for cemeteries. We’ve been researching the stories of the Abbey’s ‘residents’ and have interesting facts to share. Explore our database and learn about some of Columbus’s most prominent leaders.